This entry was posted in Life, Menopause, Mid-Life, poetry, Trifecta, women, Writing and tagged fear, Life, Mid-Life, Poetry, Trifecta, weight, women, Writing. Bookmark the permalink. I’m glad you joined in the fun, Patty! 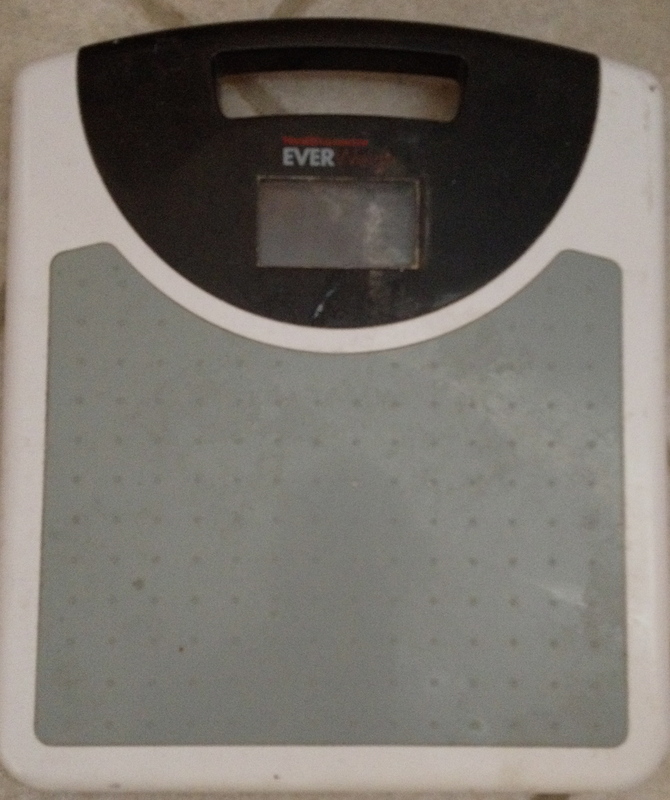 I also dislike the scale and don’t subject myself to it often. (If I can’t button my jeans, then I know I’ve overindulged :)) The number doesn’t seem to reflect my effort- in both exercising and eating healthy! Truer words never said. My deal with myself is no sugar and exercise. Thanks for dropping by Ann, glad you liked the poem. Nice acrostic! I think this is a fear shared by many. Thanks for linking up. Don’t forget to vote. Thanks for the compliment. Glad I could join in on fear this weekend. Wooo acrostic ftw! Nice work. Fun acrostic! And, btw, you are not alone. Thanks for dropping by to comment It was a fun Trifecta!